A local man has been convinced not to plunge to his death by jumping off a bridge by smuggler-turned-knight Ser Davos Seaworth. 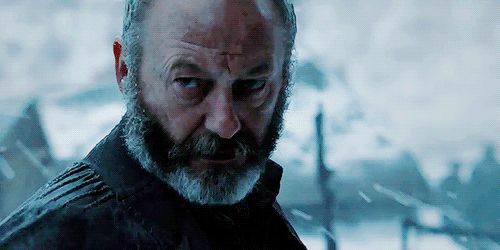 Seaworth made an impassioned plea to the man as he contemplated jumping from a bridge in Denny, Stirlingshire, after the knight’s companions Jon Snow and Sansa Stark summarily failed to convince the depressed man. An eyewitness reported that Jon Snow’s brooding comments on the finality of death only served to harden the man’s suicidal resolve, while Ms Stark’s offer of a shotgun marriage fell flat. Ser Davos reportedly told the man: “Begging your pardon ser, joomping off that bridge is not the way to go. “I used to be a smoogler and now I’m a knight. I lost a soon in the Battle of the Blackwotah and for a while I wanted to die, but then I remembered Stannis was still the rightful king of Westeroos. The man stepped off the precipice and joined the Onion Knight in a gentlemanly embrace. Don’t forget the chips.. a source told me Sir Davos treated the chap to a bag of chips at his local chipy “White Fish Harbor” .